It is the age of body shaming. Women who do not fit the bill when it comes to trendy body sizes and shapes are ridiculed and made to feel lesser than the others. Braving such a cruel society are women who turn their backs to ridicule and embrace the body type they have with much aplomb. All women have an eye for an hourglass figure and all have their near year resolution to get one! isn’t? While it is wonderful to be confident and in love with the kind of body you have, it is also vital to draw a line between being curvy and being obese. The only reason for doing this is to ensure that you are healthy inside out. There are a million weight loss tips and tricks available on the Internet. Unfortunately, quite a few of these ideas are a hoax while the remaining options are capable of burning a hole in your pocket or starving your body to ridiculous levels. The common practical theme across weight loss websites and forums is eating right and exercising regularly. However, what does one do in addition to exercising every day and eating balanced meals to lose the fat quickly? Additionally, what happens to those poor souls who have a sluggish metabolism which hampers their weight loss program? To help all such people grappling with weight loss issues, we have a simple remedy – Curcumin. How does Curcumin help in Getting Hourglass Figure? Chronic inflammation is one of the first ill effects of excess weight. When your body is busy battling intense inflammation, it is unable to focus on losing weight. The metabolic rate of the body is also quite severely impacted by unrelenting inflammation. This is a cyclic process that eventually leads to horrible health conditions. Curcumin has great anti-inflammatory properties that help in controlling the inflammation thus helping you focus on weight loss. It improves the rate of metabolism which in turn accelerates the rate at which the body burns fat. Curcumin is helpful in weight management since it has the ability to keep both cholesterol and blood sugar levels in check. 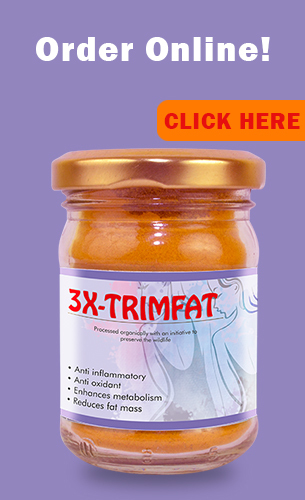 It prevents the accumulation of macrophages that are a primary cause of belly fat amongst women. Curcumin promotes the production of neurotransmitters like serotonin and dopamine which are mood elevators. By doing this, curcumin relaxes the body and makes it easier for an individual to fall asleep and experience a much better quality of sleep. Sleeping well is directly correlated to the metabolic rate of the body and as a result, can help you lose weight faster. Curcumin helps in keeping a check on the size of the adrenal gland which is responsible for producing the hormone known as cortisol under stressful conditions. Too much cortisol could be a reason for putting on belly fat amongst men and women alike. Thus, curcumin can prevent excess cortisol production thereby avoid belly fat accumulation. The best way to consume curcumin especially for weight loss is to have it in the morning on an empty stomach. Here is a brilliant recipe for a flavorful early morning cuppa that will keep you rejuvenated and alert through the day. Boil a cup of water and add some curcumin powder, a pinch of cinnamon and some grated ginger to it. Allow this solution to sit for about 5 minutes so that all the necessary nutrients are infused into the water. Strain this concoction into a cup and add a dollop of honey for taste. Drink this wonderfully aromatic concoction every morning for quicker weight loss. Bagdara Farms is an agricultural venture that is committed to cultivating organic, high-quality curcumin that can then be used to make supplements for many diseases. One such supplement created by Bagdara Farms is Curevy. As the name suggests, Curevy is created especially for all those lovely curvy ladies who want to achieve a healthy BMI. The curcumin-rich formula of Curevy is very effective in promoting weight loss. It can be taken by one and all especially since it is natural and has zero side effects. If you are trying to lose weight quickly, add Curevy to your fitness regimen along with diet control and exercise and start seeing the difference right away!